Going on a picnic or to the beach is a lovely way to spend a sunny day. 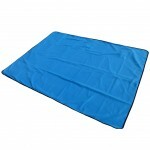 But the picnic blanket can be used for many more activities, for example if you want to spend a warm summer night looking at the stars, or visiting the open-air cinema in the park. A quality picnic blanket is a must – especially in the evening. This is why Outdoorer has developed the versatile picnic blanket Pick & Bag XXL. The upper surface is nice and soft and the bottom wards off cold and damp. The picnic blanket Pick & Bag XXL is available on Amazon. For the picnic blanket Pick & Bag XXL only the best materials are used. 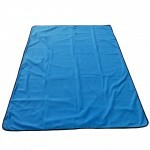 The underside of the blanket is made of waterproof PEVA, so you are safely protected from damp. Polar fleece is used for the upper. This is not only durable and easy to clean, but also very soft. For greater comfort, there is an intermediate layer of thin foam. This will not just help you to sit comfortably, the foam also insulates against cold. 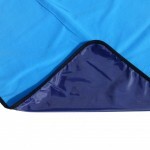 The picnic blanket Pick & Bag XXL has a pocket on the front in which you can safely store small items such as newspaper or tickets to have them quickly to hand. 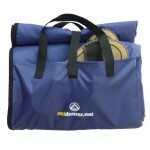 To allow you to take the picnic blanket Pick & Bag XXL everywhere, it has two carrying handles. These are long enough to allow the packed bag to be carried over the shoulder on longer journeys. 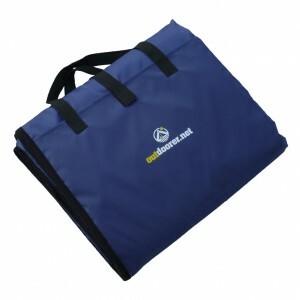 A picnic blanket should be easy to transport, so the Pick & Bag XXL has a relatively small pack size and light weight. With a size of 39 x 34 x 8 cm and at only 800 g in weight it is easy to store. It’s not just at a picnic that you will be able to take full advantage of the large sunbathing area. At a size of 150 x 200 cm two people can lie comfortably on it. Thus, the picnic blanket Pick & Bag XXL is also suitable for taking with you on a romantic getaway. For example, you may want to watch the stars with your partner on a warm, clear night. You will certainly not be too cold, because the surface feels cosy and the base reliably protects against moisture and cold from the ground. Where can you order the picnic blanket Pick & Bag XXL? You can order your Pick & Bag XXL picnic blanket in our Amazon store.